Why is high output at low RPM Important? 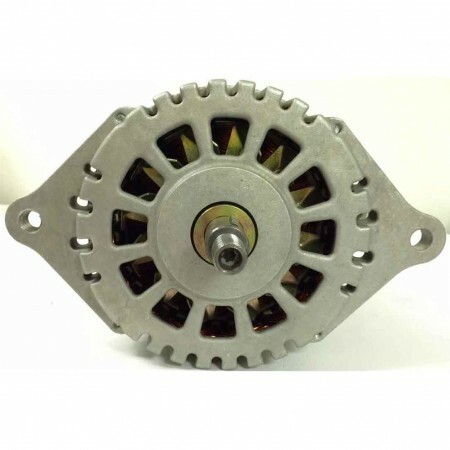 Increasing engine idle – extra fuel is needed to increase engine RPM’s, engine wear and tear increases, exhaust emissions soar, and noise levels rise dramatically. Extra batteries – the capacity of any reservoir is limited. 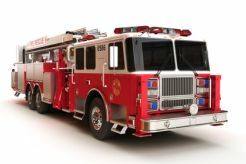 If a vehicle is at work at the scene for an extended period of time, batteries can be depleted and the mission interrupted. 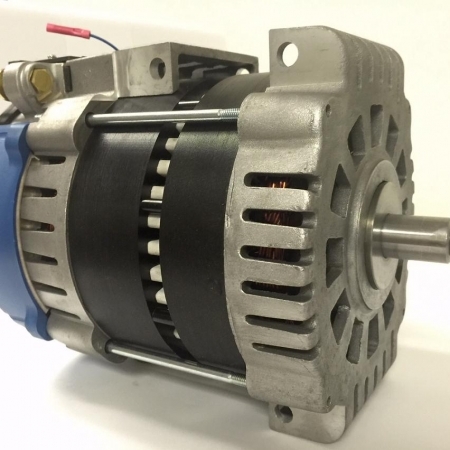 In addition, deep discharges shorten battery life thereby causing premature replacement which is both costly and intensifies the disposal problem of batteries by causing needless additions to the waste stream. 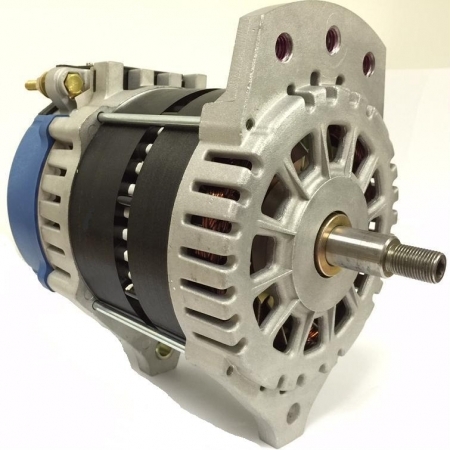 Although the holy grail of a flat power output curve is not achieved, Eco-Tech low RPM alternators provide two to three times the electrical power at engine idle compared to similarly sized conventional, claw pole alternators. 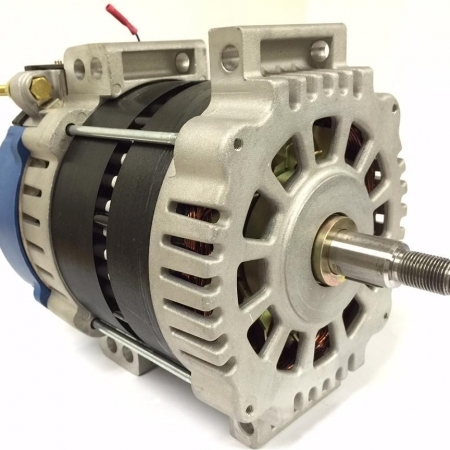 Worded differently, Eco-Tech alternators generate between 75% and 80% of manufacturer’s rated full output (at 2,000 engine RPM’s or 6,000 alternator RPM’s) while operating at the typical engine idle speed of 600 RPM’s (1,800 alternator RPM). 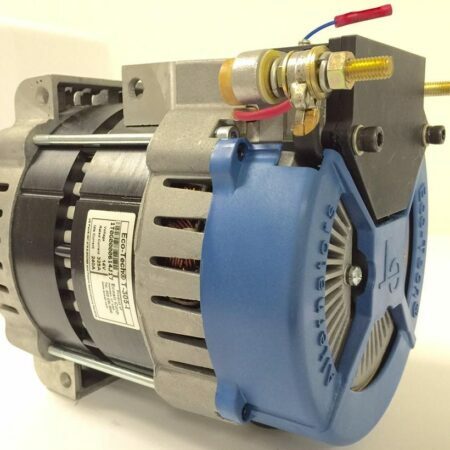 Typical conventional alternators generate about 30% to 35% of their rated full output at the same 600 engine RPM’s. 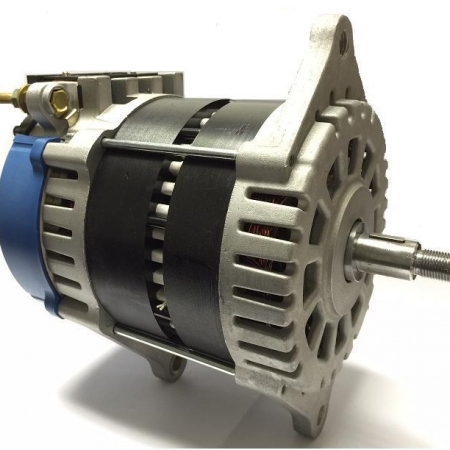 Therefore, Eco-Tech alternators’ output curves more closely approach the ultimate flat output curve. 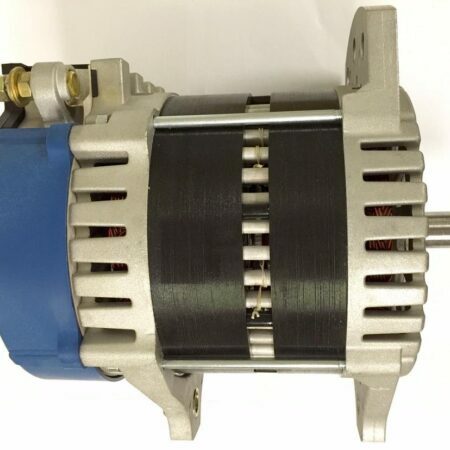 In many of the applications listed above, where output at low speed is most important, Eco-Tech high output at low RPM alternators can provide the electrical power needed, so that these vehicles can perform their missions more cost effectively while making both the revving up engines and the use of extra batteries unnecessary. 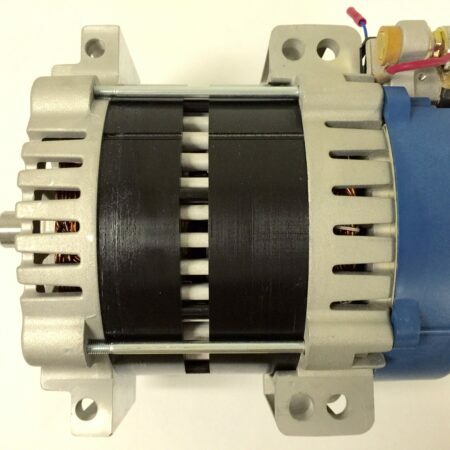 Eco-Tech patented low RPM alternators excel in applications where high electrical output is needed at low engine RPM’s.